E is for Explore! 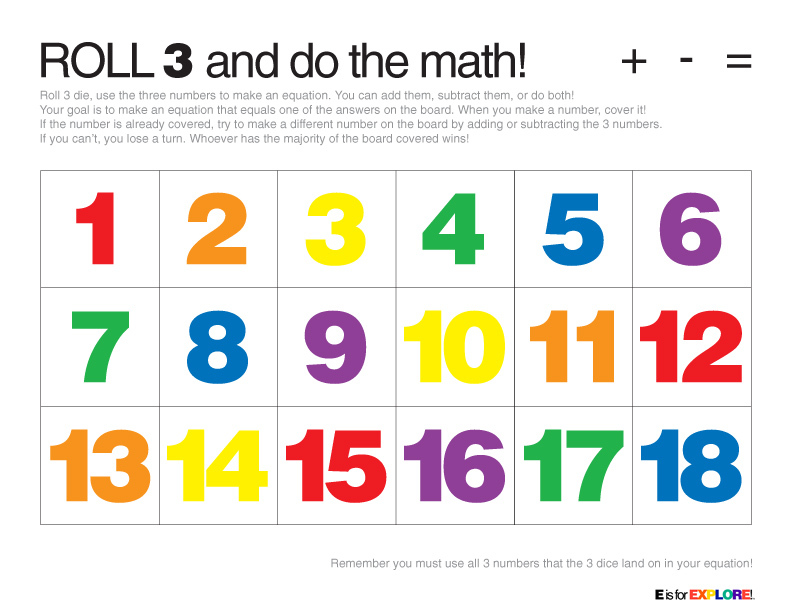 : ROLL 3 and do the math! ROLL 3 and do the math! Practice making equations with 3 addends and using addition and subtraction within the same equation. Grab 3 die, use your subitizing skills, and get ready to roll! Instructions are on the game board.